Antiques for the most part are pretty durable, that’s why they are still around right? When it comes to moving them however, there are many theories but things don’t always have to be so complicated. In the same sense Antiques are also one of the most irreplaceable items that customers have in their homes find out here now. Extra time and care will definitely pay off here. Lets start with some basics…. Step 1: Hire professional movers if possible, if not round up hubby and a couple good friends. Moving Pads or blankets, rope, dolley, shrink wrap, possibly bubble wrap. The cost of the supplies will be well worth it when your piece arrives intact into your new home. Step 3: Lets get this piece ready to move. The trick to moving an antique without damage is to prepare it before you try and move it. 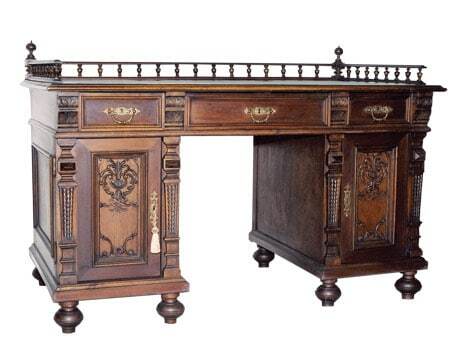 This varies a little depending on the piece, for this example lets move an antique desk. Empty all drawers and cabinets completely, if the shelves come out then take them out. If the piece has a top that comes off, take it off before moving it. Next wrap the desk in your blanket or moving pad very well. Use box tape or another mover to hold the blanket in place and wrap it completely in shrink wrap. I’m talking make a mummy out of that desk. This has two purposes, it holds the blanket in place but it also holds all the drawers closed so they can’t come open and break while it is being moved. Most old antiques have little wheels on them, or small feet don’t rely on those to move it or they make break off, pick the desk up completely and lay it on it’s side. Slide the dolley under the side that is now on the floor, this should be the side/top of the desk. Move the desk to it’s new location. As long as you watch the wheels and legs everything else is protected so just make sure you don’t drag or scoot your antique, have enough man power available to completely pick it up. The rope is used to secure the piece to the truck if need be during transportation. Unloading the new piece is exactly like loading it. Wallah your antique is happily sitting in it’s new home. I hope this helps and happy moving everyone.